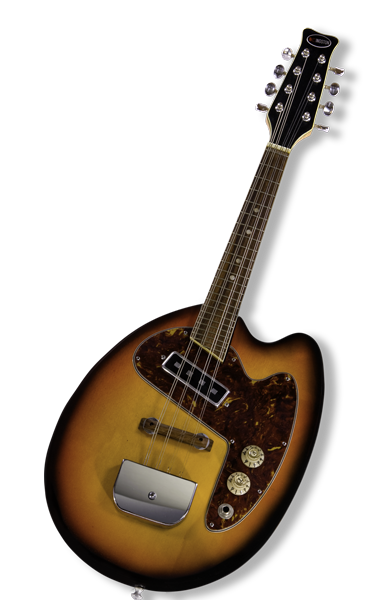 This 1965 Kingston Electric Mandolin, Custom "Pear-Shaped" design was clearly inspired by the "Mando-guitar" built by Vox. The Kingston was made at the Nagoya Music Factory in Japan and was produced between 1964 and 1967. 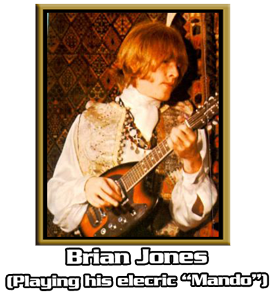 It's one of the first 8-string "Solid Body" electric mandolins ever produced and certainly was one of the best looking ones. The Kingston is 15 3/4 scale, more Mandola than Mandolin. 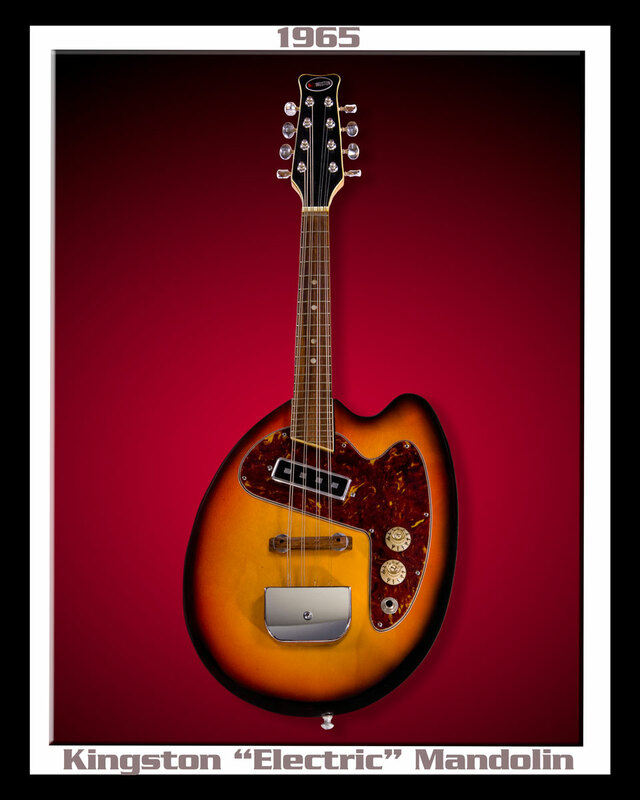 The Mosrite style pick-up is the crucial difference with this model. This mandolin has magnets that actually have a wire-bobbin wound around them and produce a lot of sustain with a crisp clean sound for pickin' or hittin' those chop chords.